For a few years, I’ve seen these floating around the internet and people said how great they were for getting rid of dead skin, which to me equates as always getting rid of hyperpigmentation – bane of my life if I get a spot. Now I was using the Neostrata skincare range and it says not to use chemical peel products (alpha and beta hydroxy acid, retin A or retinol) 48hrs before use and to wait at least 7 days but as I was continuously using it I had to delay starting this. 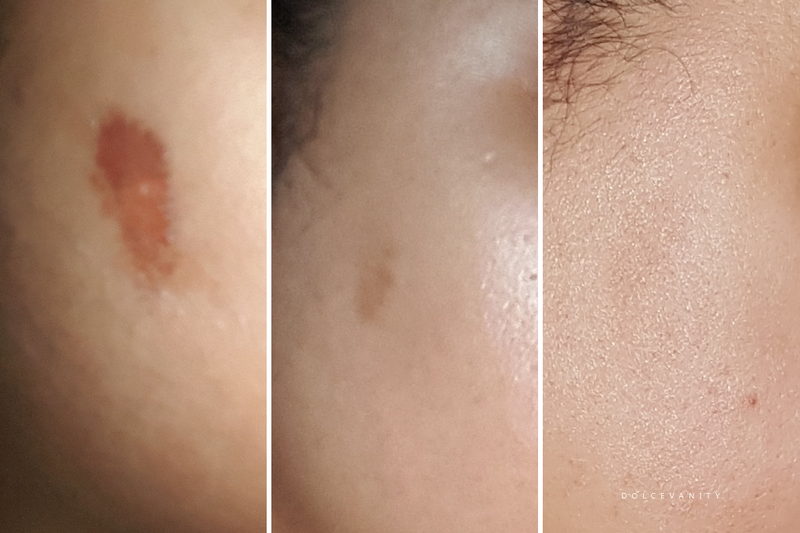 Late last October I ended up with a friction burn on the side of my face and I knew, this is going to leave a mark for sure and waiting for it to heal I knew that this PMD was going to be a great thing to use in conjunction with my daily products to help even out my skintone once again. I didn’t start to use this properly until late November because I wanted the skin on my face to be healed properly and it took about a month for it to get to that point. Within my box I got, the device, a plug with changeable pins for travel use, instructional dvd & 2 grey (very sensitive), 2 blue (sensitive) and 2 green (moderate) discs for my face & body – I’ve not used those yet but I think it could be good for the kneecaps. 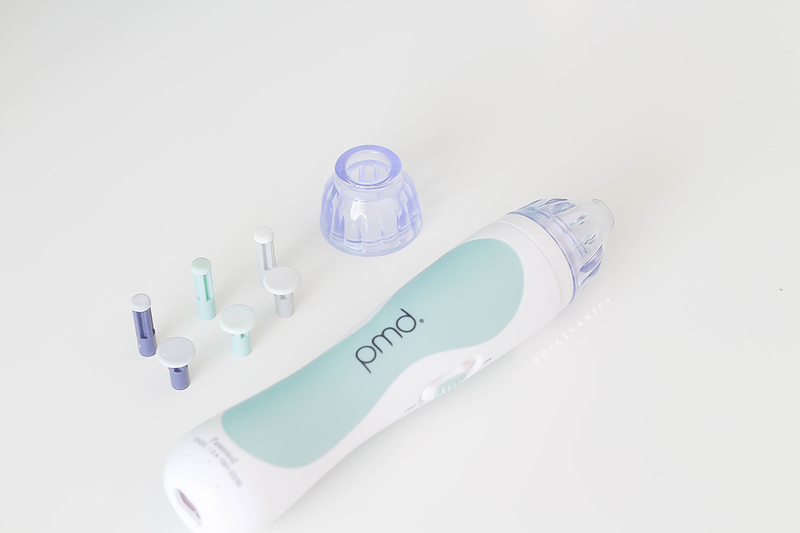 After I thoroughly clean my skin and patted it dry, I plug in the device and start from my chin upwards, always pulling the device outwards on my face except my nose, I go upwards on the outside and downwards on the bridge. Only pass over one area once, otherwise you’re irritating the skin and may get redness or scabs just make sure to use sunscreen and a good moisturiser. As I’ve completely overhauled my skincare with the addition of some products and the PMD tool, I’m only dealing with old pigmentation which is amazing, I’ve had no break-outs and my skin is clear and no to mention the pigmentation from the friction burn has faded considerably. I do this every 6 or 7 days – depends on what I might have planned I push it forward or ahead (to land on the 6th or 7th day) but I make it a regular and also the skin has had time to rejuvenate and ready for the next treatment. It’s pretty simple and easy to use – I promise. It sounds crazy, due to the suction but I find it gentle and non-abrasive. I practiced with the dummy disc first to get use to holding my skin taut and the motion and proceeded to use the chosen disc (green). Within 2 months I’d say it’s done quite well with helping my skin texture, without a doubt the next morning after using this, AH-MAZ-ING. You can see how slowly but surely it got there from the 1st – 22nd November but as I was still using the system mentioned above I had to finish and then begin the week afterwards....and the last picture is taken on the 5th February. It beats a manual exfoliator but I do incorporate that during the week. I can now see why this is a popular system, I’m just about ready to now replace my discs but during colder months this would help those who suffer from sensitive/dry skin because it’ll help get rid of the dead skin – while that’s not my issue, it has helped my skin with hyperpigmentation but to keep it smooth and bright during the cold months. I was always leary of these at home personal pmd's but this seems to work extremely well! This seems like it has done a great job!! I've always wanted to find a good one, but I get so nervous with my sensitive skin. I have never come across anything like this. So this removes dead skin through suction? It looks like it did an amazing job with the burn. Great results! I have horrible acne scarring so will take a look at this! Not tried anything like this before, it looks like its done a great job! Wow! I need tot order this product! Sounds like it would help to get rid of some of my dark spots! Thanks for this review! This product seems so nice. I think I will buy one and I hope I can use it with no hassles. It this like a suction? as the little discs look more like they exfoliate? What ever it does, it looks like it works a treat! I have to admit, I've never heard about anything like this before. Sounds like something to consider for sure. Wow! That is an incredible result, I'm shocked at how well it worked. This is amazing and sound much better than a manual exfoliator! It's give it a try! I'm so lucky with my skin that i've never even given things like this a second thought. I bet it would work wonders on my elbows though which, quite frankly in winter, are horrible.